This fashion model wasn’t afraid of jumping into choppy ocean waters if it meant saving the pup who had been blown off of a pier. 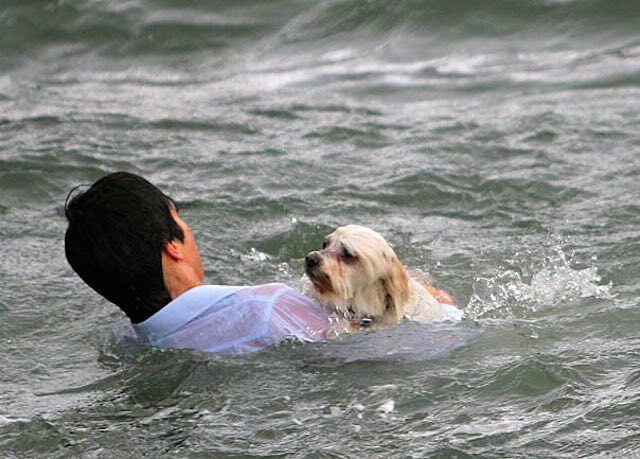 In 2009, Raden Soemawinata was on the Brighton Pier in Victoria, Australia when 60 mile per hour winds blew Bibi, a small Maltese-Shih Tzu mixed dog, into the sea. The dog’s owner, Sue Drummond, hesitated to jump into the water because she feared she wouldn’t be able to carry a struggling dog to shore. Before she could react, however, Soemawinata tore off his pants and jumped into the sea. 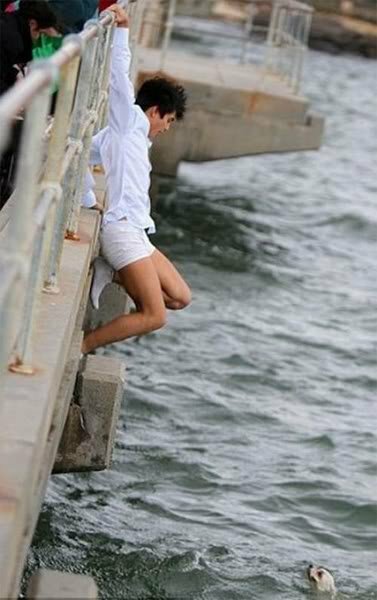 Soemawinata, who 20 years old at the time, was scattering his grandmother’s ashes from the pier when he saw Bibi tumble into the ocean. Though the death of his grandmother is a tragic reason for him to be present for the heroic rescue, events could have taken a turn for the worst.